Here’s a nice little freebie! I can always use a wall calendar in the school room and it sounds like this one has some extra useful stuff in it! 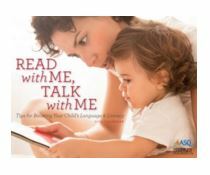 Boost your child’s language and literacy skills all year long with the 2016 “Read with Me, Talk with Me” calendar! Expand vocabulary and help get children ready for school with tips and resources. You can jumpstart your child’s early language and literacy skills all while having fun and spending time together.